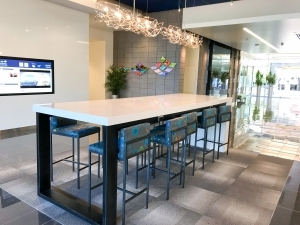 The fast-growing IT firm tripled the size of its Scottsdale-based headquarters to accommodate growth and more-fully integrate its unique culture into the workplace. 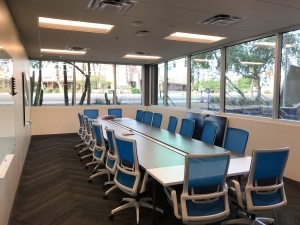 Scottsdale, Ariz. – Nov. 6, 2018 – vCORE Technology Partners, one of North America’s fastest-growing IT firms, has tripled the size of its corporate headquarters while moving into Scottsdale’s thriving SkySong complex, but the uniquely-designed office reflects much more than a need for greater floor space. From a high-security, 24×7 operations center that complies with multiple federal privacy laws, to the Technology Integration Center where complex IT systems are assembled and configured, vCORE’s new headquarters brings a diverse array of engineering and corporate functions together under one roof. 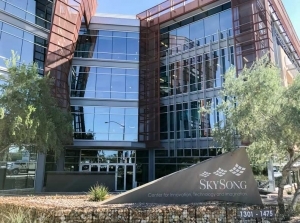 Nearly 70 Scottsdale-based employees work out of the new 9,300-square-foot office, which includes positions in systems engineering, IT operations and support, delivery services, project management, sales, finance and executive leadership. vCORE provides enterprise-class IT solutions and services in cloud automation, data center, networking and security for clients across the globe. 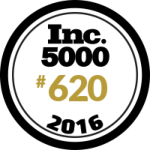 Since moving its corporate headquarters to Arizona in 2012, vCORE has experienced industry-leading growth, consistently ranking among the Inc. 5000 fastest-growing companies in the U.S. and among the best-performing IT services firms in North America. 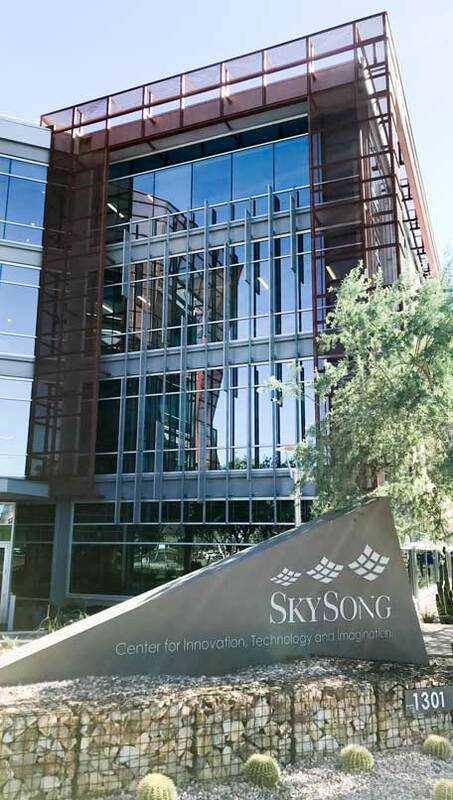 Arizona’s business-friendly environment, along with Scottsdale’s central location, robust technology sector and reputation as a great place to live, have all played a role in vCORE’s decision to maintain its headquarters here through each stage of growth. The company now has a presence in eight U.S. states and Canada and more than 110 employees. From a five-person Scottsdale office with about 10 client accounts in 2012, vCORE’s Arizona team has grown to nearly 70-people strong, with more than 100 customers in the state, said Jeff Alighieri, vCORE’s vice president of sales for the Southwest & Mountain regions. vCORE’s engineering-centric business model and accountability to clients drew Alighieri to leave EMC and join vCORE in 2012 and have contributed to the company’s success and steady growth, he said. After starting out with specialists primarily in converged and hyperconverged infrastructures, vCORE has now built award-winning expertise in practice areas such as cloud automation, networking and IT security. “Every partner talks about how great their engineering resources are and how many they have, but I never really felt it or experienced it until I met vCORE,” Alighieri said. vCORE’s new headquarters was specifically designed to meet the diverse needs of each department while creating an open environment that encourages communication and collaboration across teams. “We’ve created random ‘collision points’ where conversations happen between people who wouldn’t otherwise have spoken, and that leads to innovation, creativity and new ideas,” vCORE Founder/CEO Steve Leavitt said. One such collision point is a breakroom that functions more as a coffee shop, with a barista who can serve up a variety of flavored coffees and espresso. Glass walls and broad walkways provide a welcoming environment rather than the silos that more-traditional offices can create. There’s one notable exception to the open environment, however. vCORE’s on-site Enterprise Operations Center – where the Managed Services team handles sensitive data for clients in health care and other regulated industries – requires special clearance and has security measures in place to meet HIPAA regulations, PCI (Payment Card Industry) compliance and other security standards. Two key tenets of vCORE’s corporate culture are clearly reflected in the office design – a team environment where everyone contributes and a focus on open communication. So, every vCORE employee has a workstation out in the open floor space; there are no assigned private offices. That includes chief executives, the vice president of sales, head of engineering – everyone. The office features several focus rooms that employees can use when needing greater privacy, huddle rooms to accommodate teams of four and conference areas for larger meetings. A ribbon-cutting ceremony to celebrate the new office is scheduled for 11 a.m. on Jan. 9 at 1355 N. Scottsdale Road #140, Scottsdale, AZ 85257. The event will include brief remarks from speakers including Scottsdale Mayor Jim Lane, refreshments and group tours. vCORE Technology Partners builds customized IT solutions for more than 150 companies across the U.S. and Canada. Headquartered in Scottsdale, Ariz., vCORE was launched in 2010 and has since enjoyed industry-leading growth. Our team includes proven experts in IT solutions, including cloud automation, modern infrastructure, networking, data protection, security and proactive managed services. Clients include multibillion-dollar media companies, major health-care providers, technology giants, data centers and others.